At the end of summer, we are all looking with renewed vigour at the agenda for the coming months. 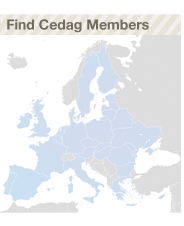 For CEDAG there are many important issues and dossiers to follow, which will be discussed at this Friday’s board meeting. The European Union Charter of Fundamental Rights is considered by many experts to be the most modern international agreement on Human Rights currently in force. The text was proclaimed as far back as 2000, but since last December it enjoys binding legal status thanks to the Lisbon Treaty.